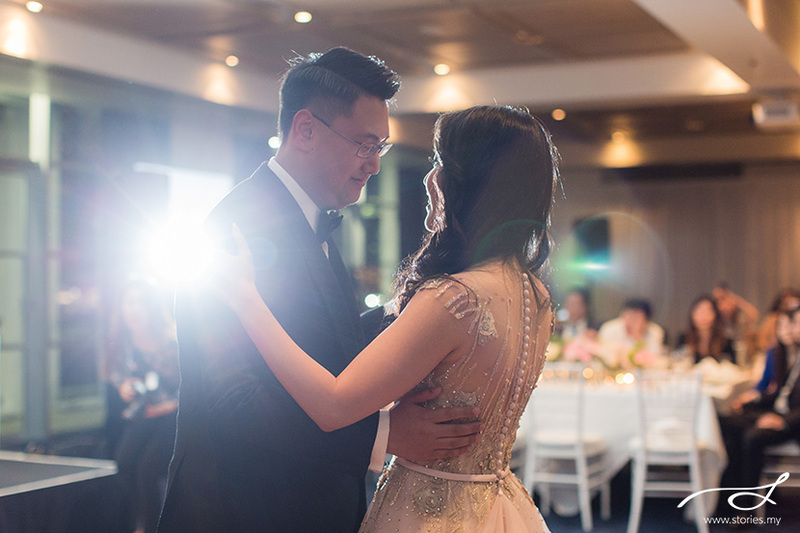 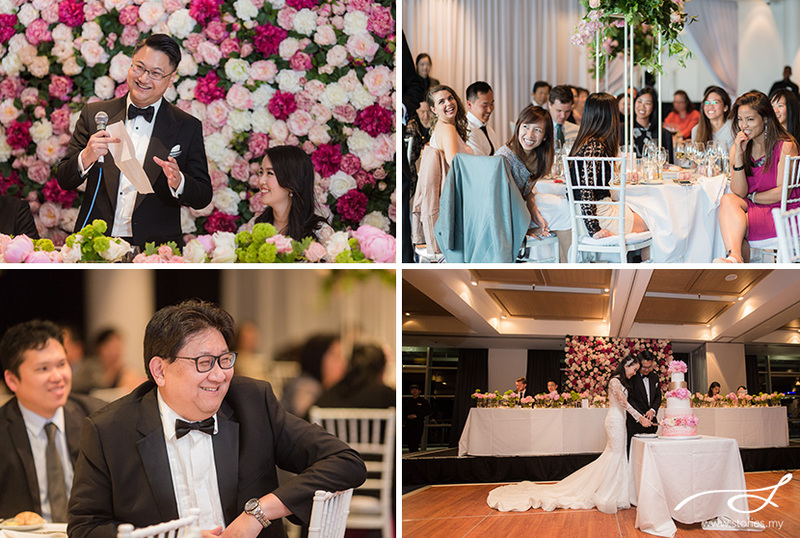 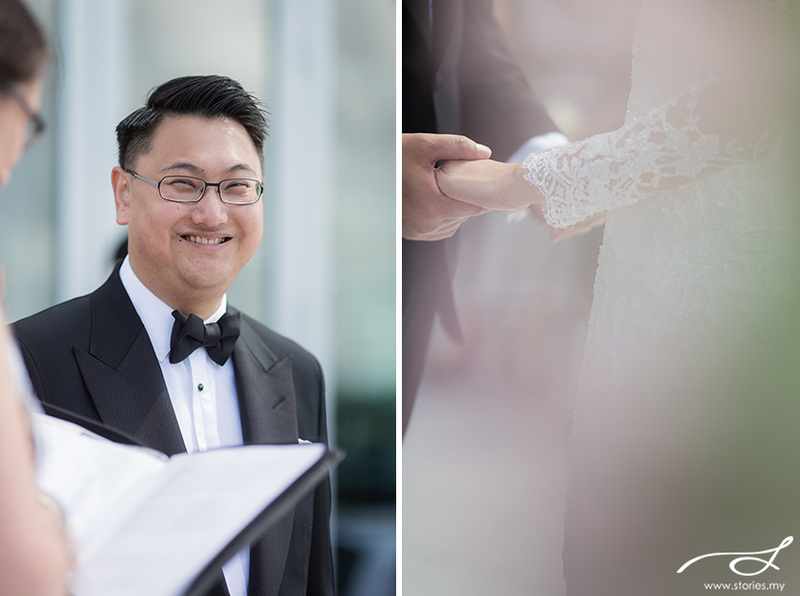 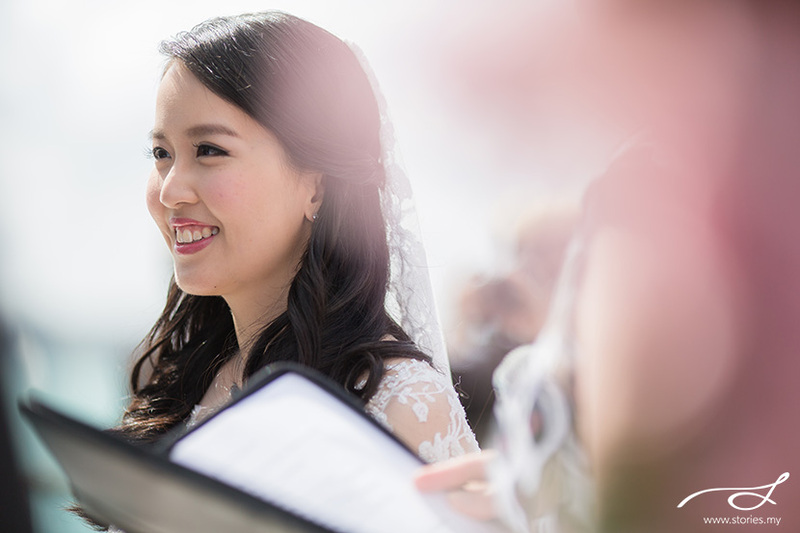 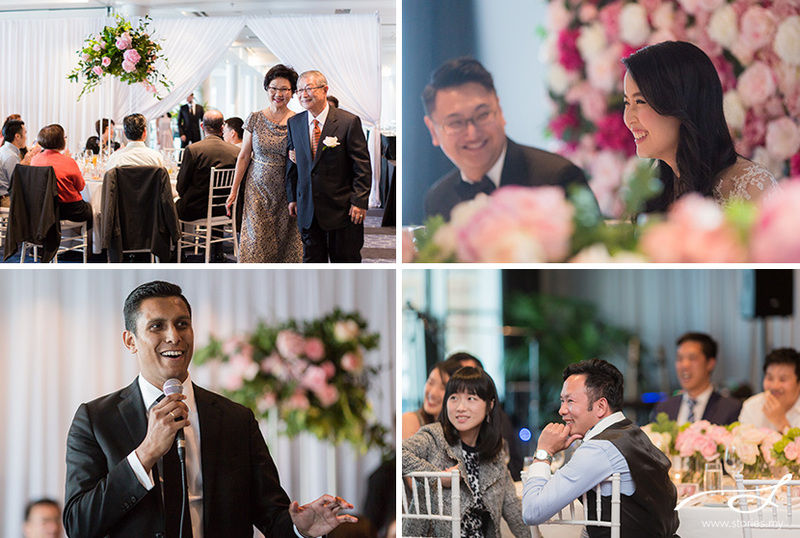 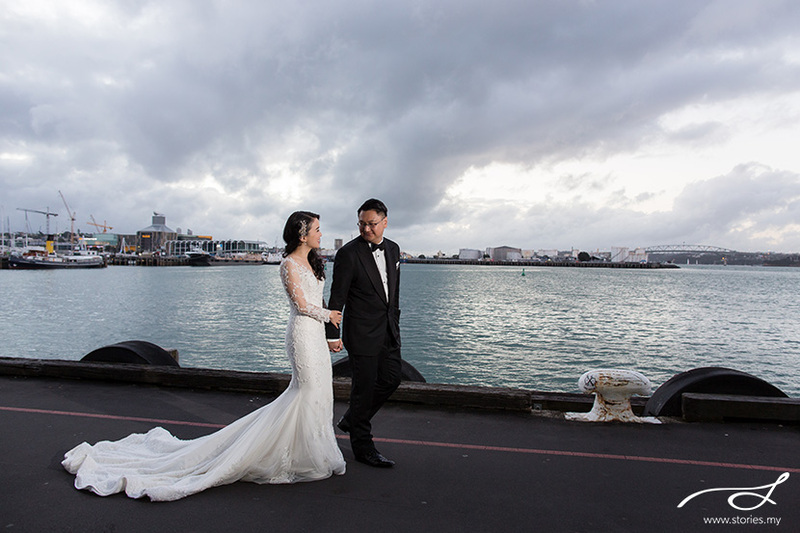 I was really excited when Calvin and Queenie chose to hire our photography and videography team to cover their wedding in Auckland, New Zealand. 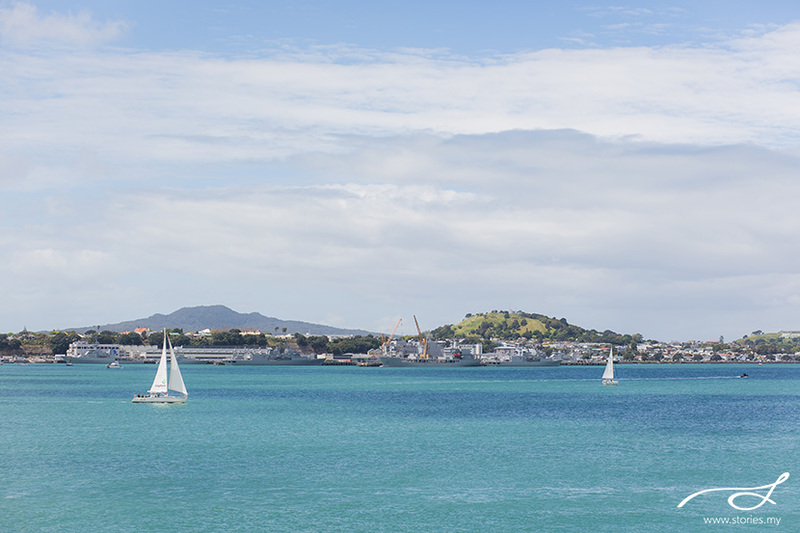 What a privilege it is, to fly internationally to a country that is famous for its beautiful scenic vistas and sheep! 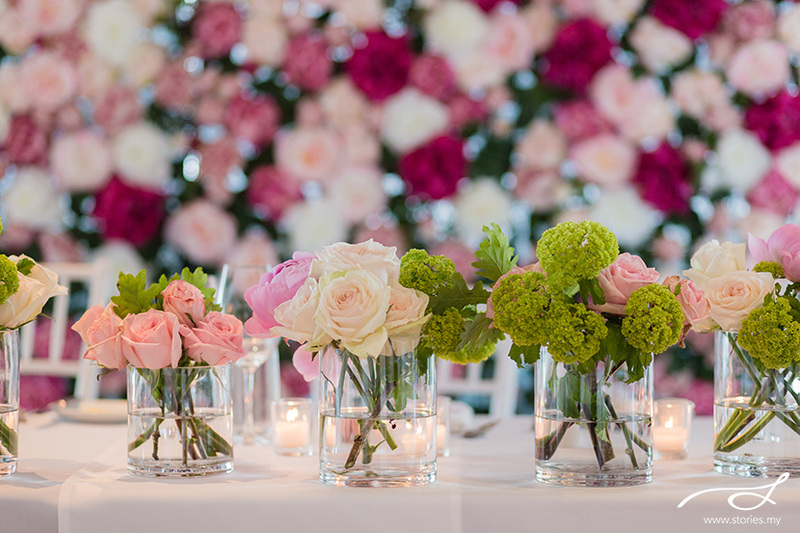 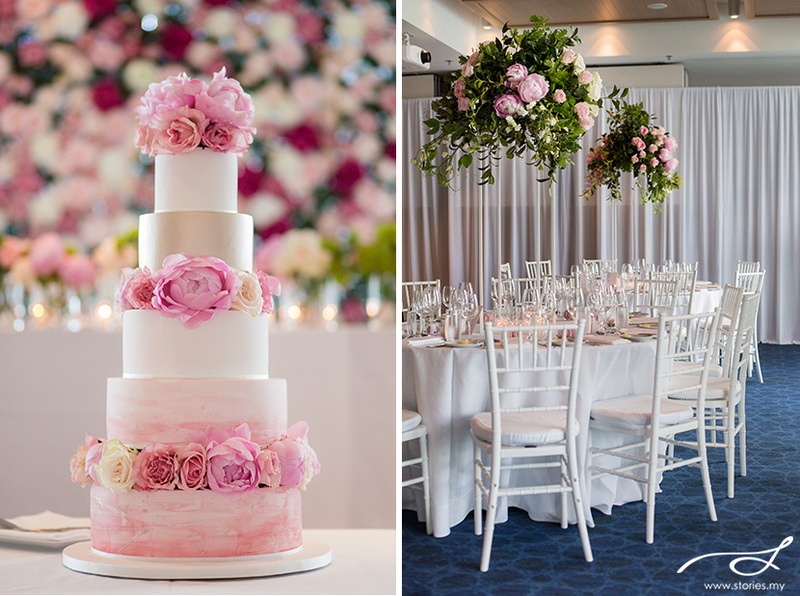 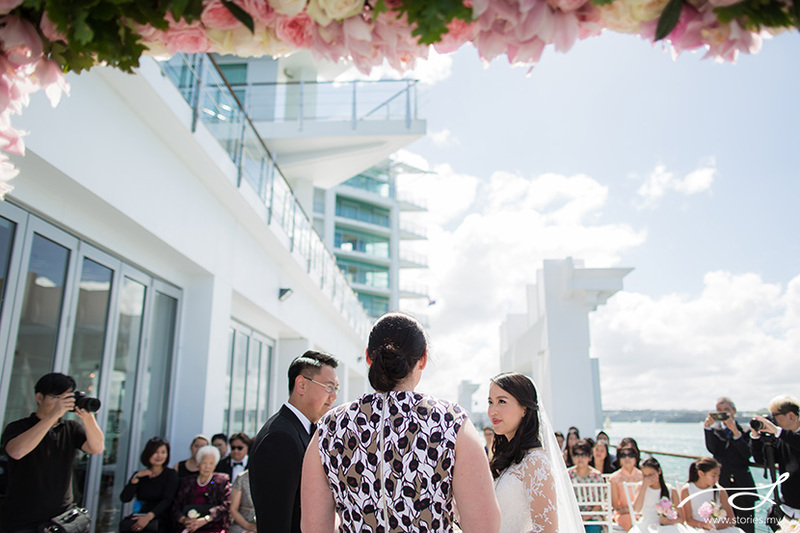 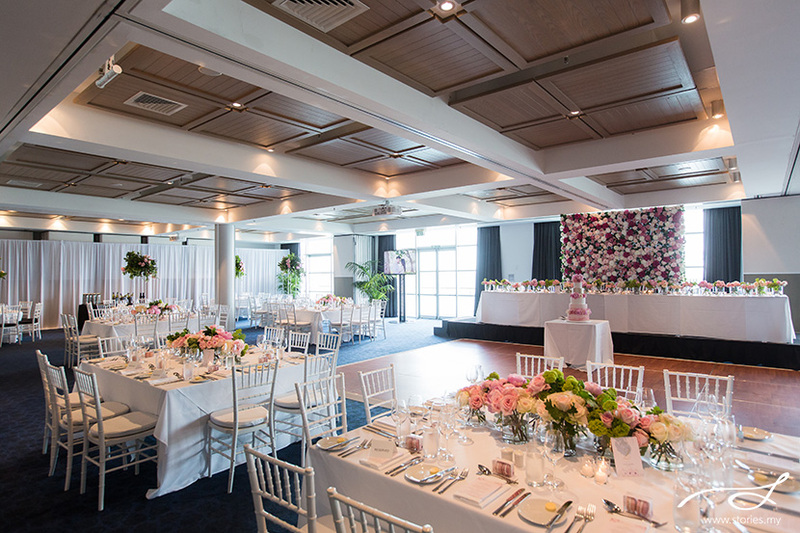 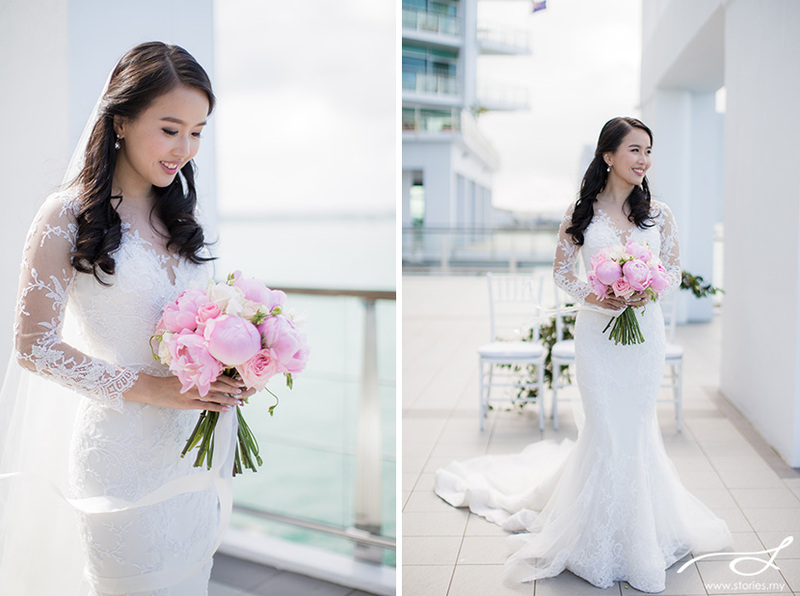 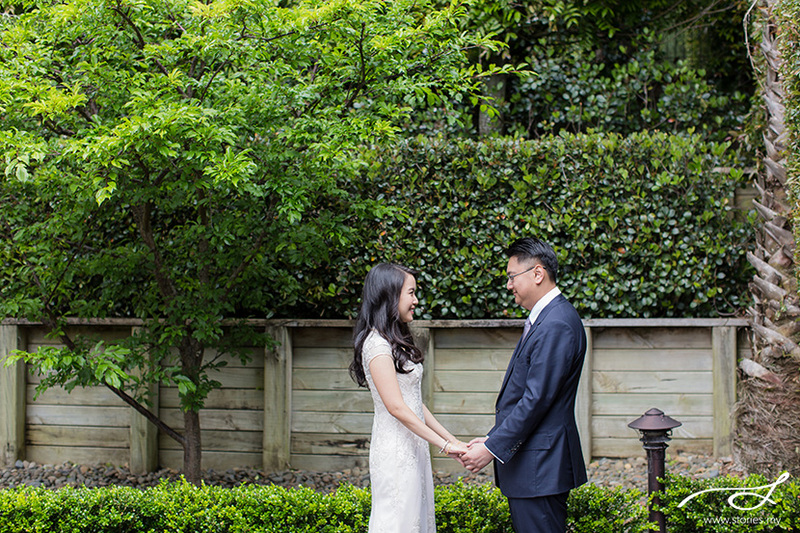 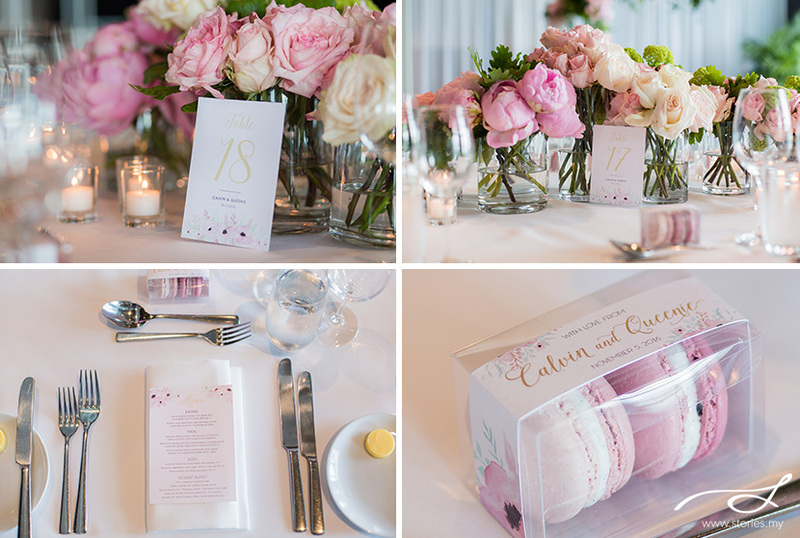 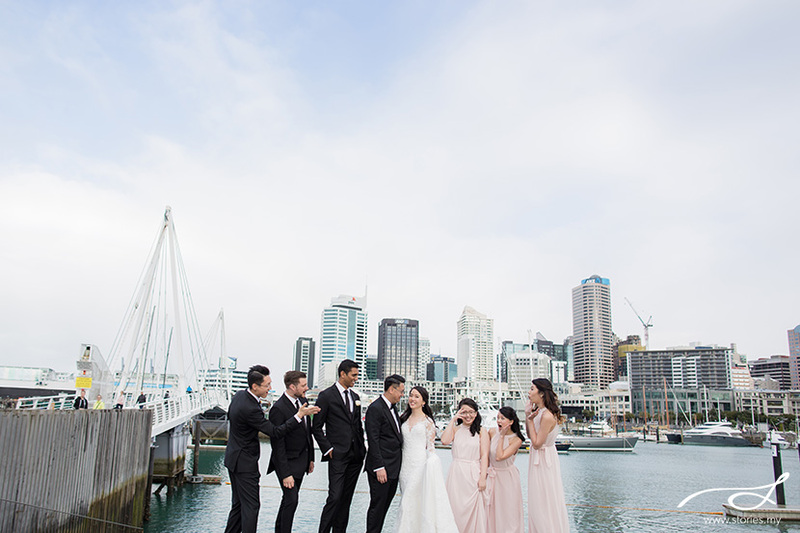 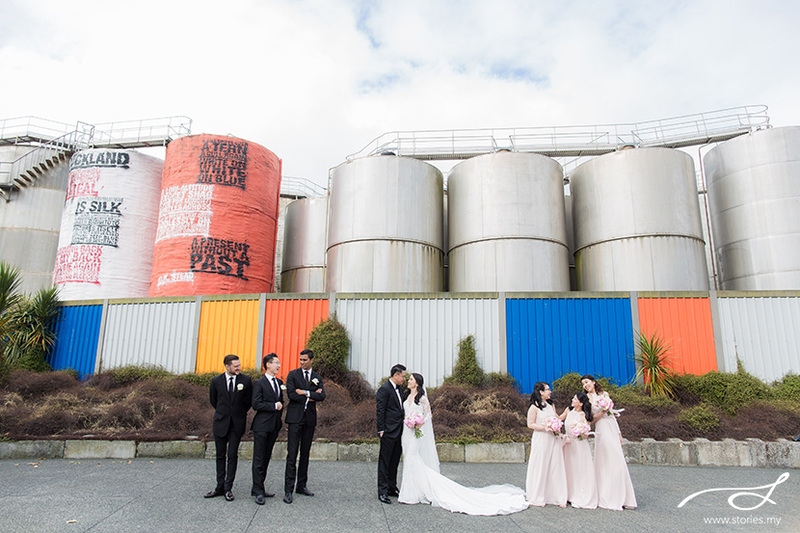 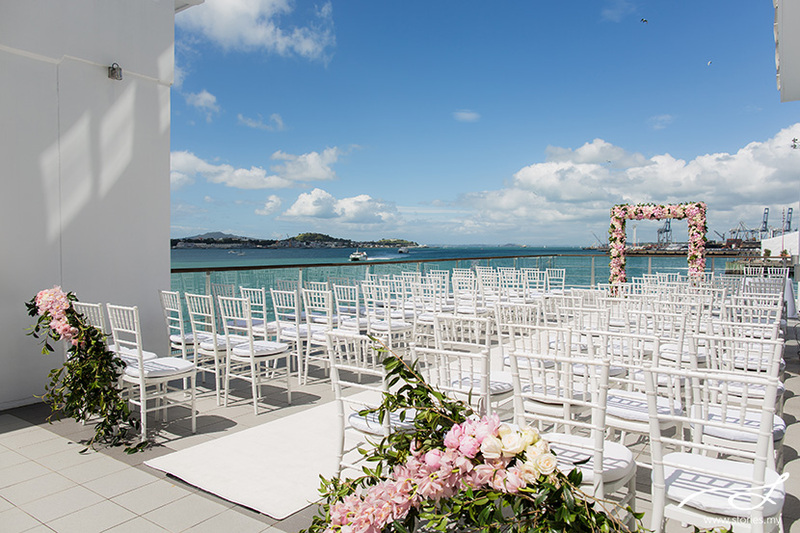 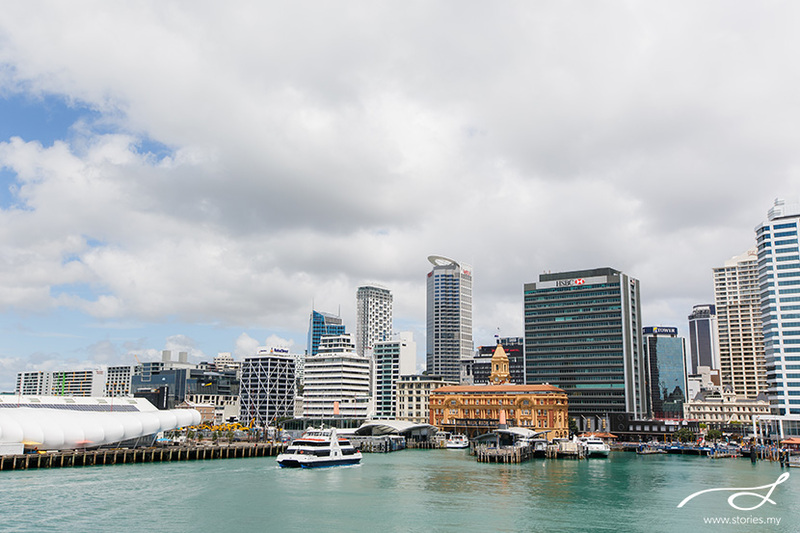 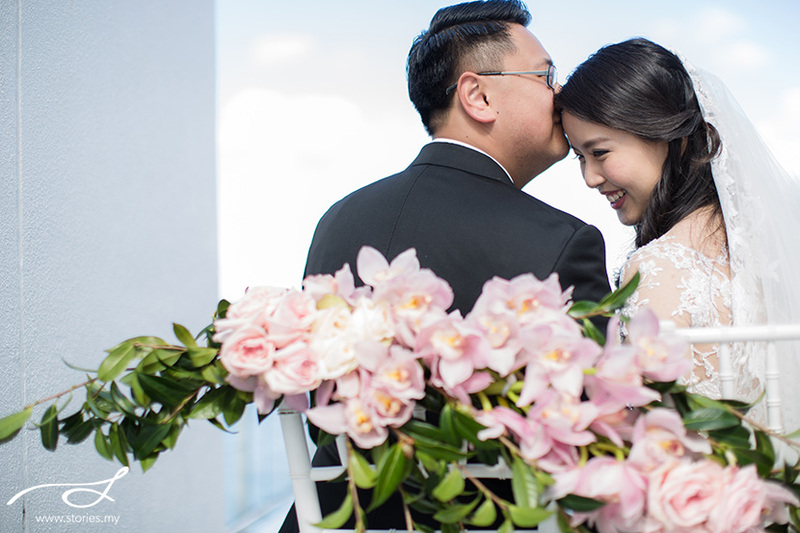 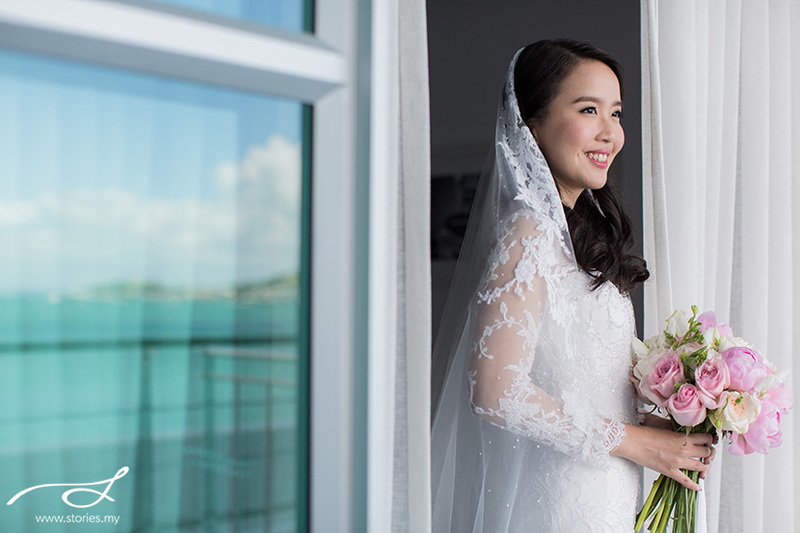 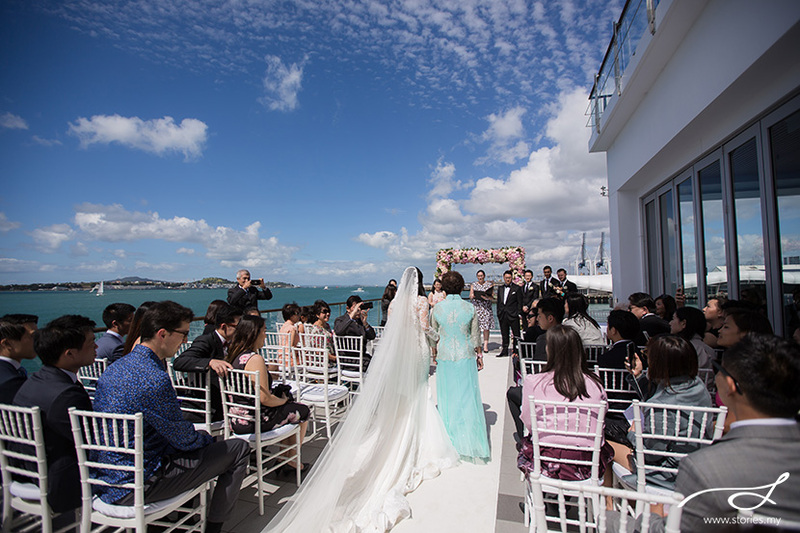 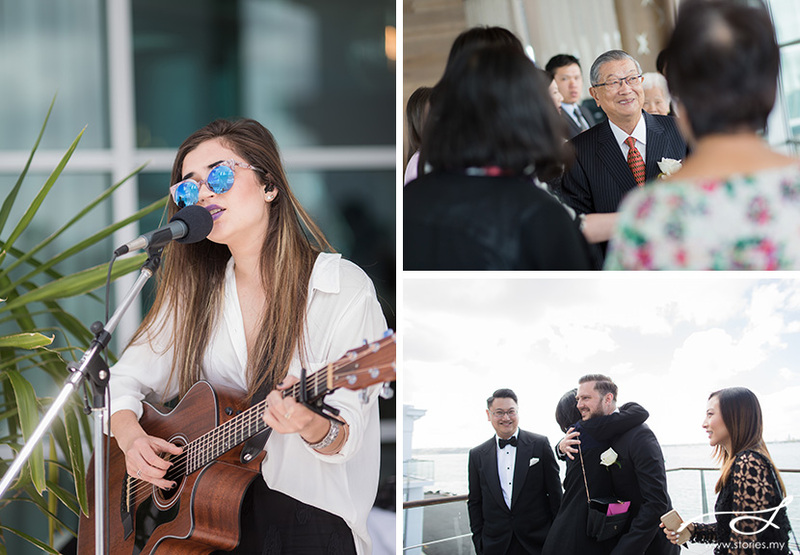 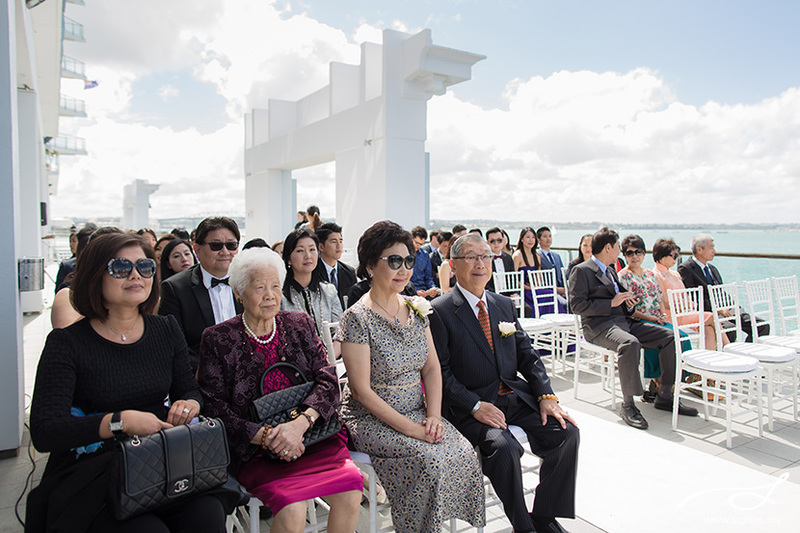 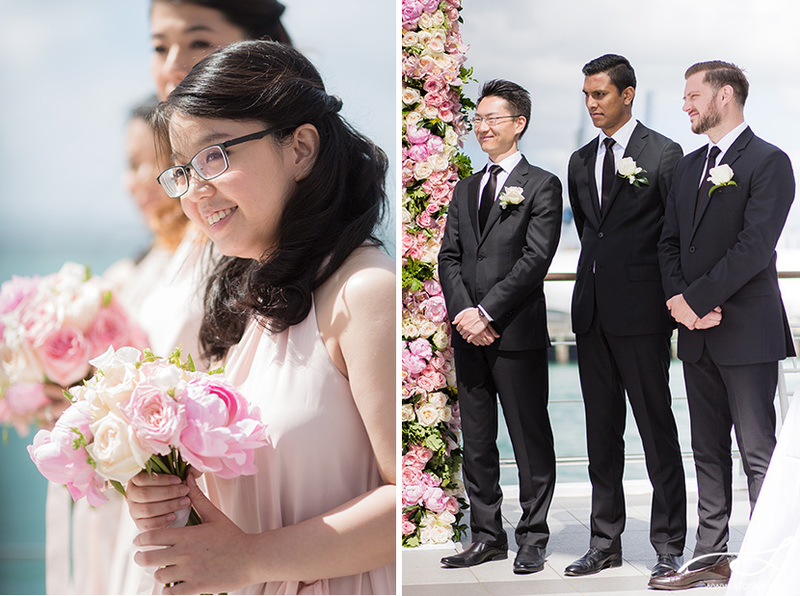 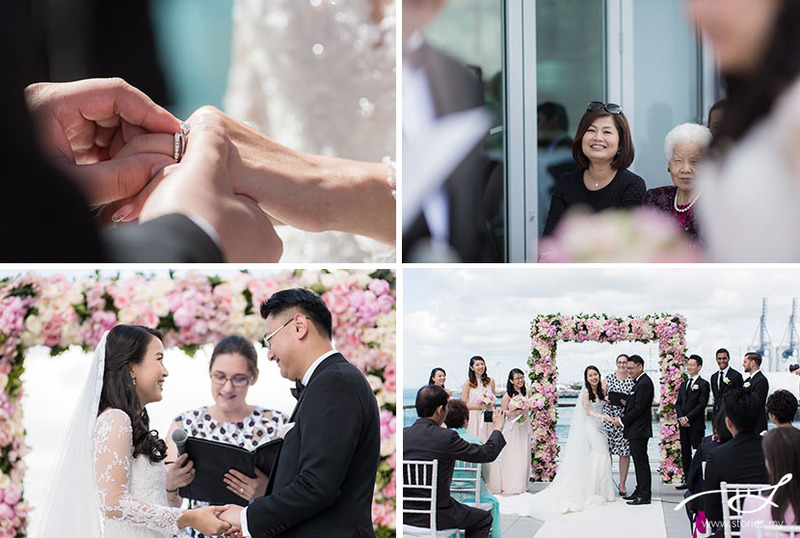 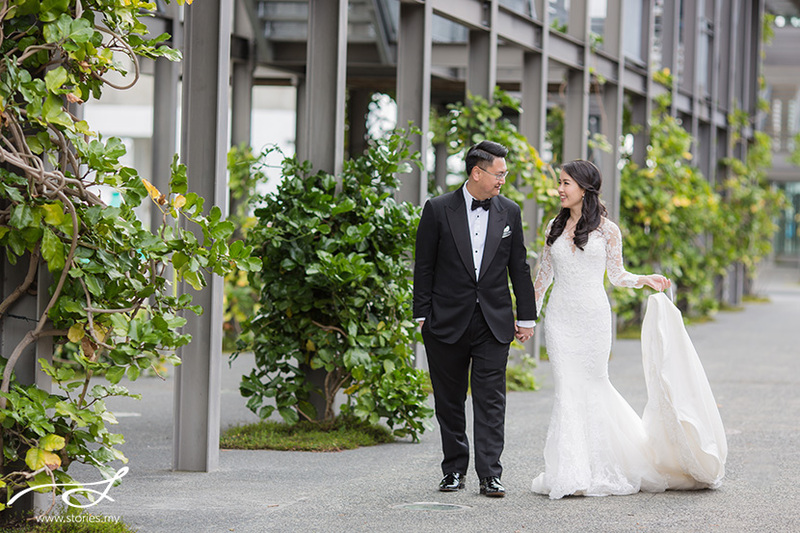 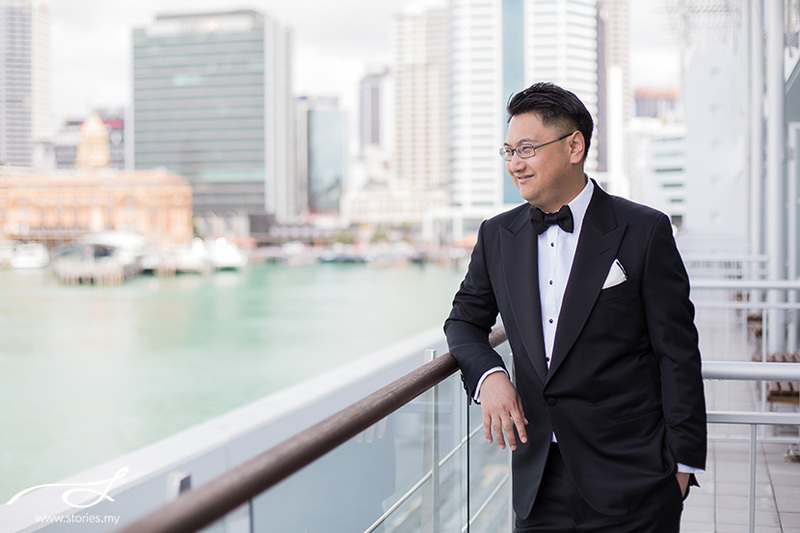 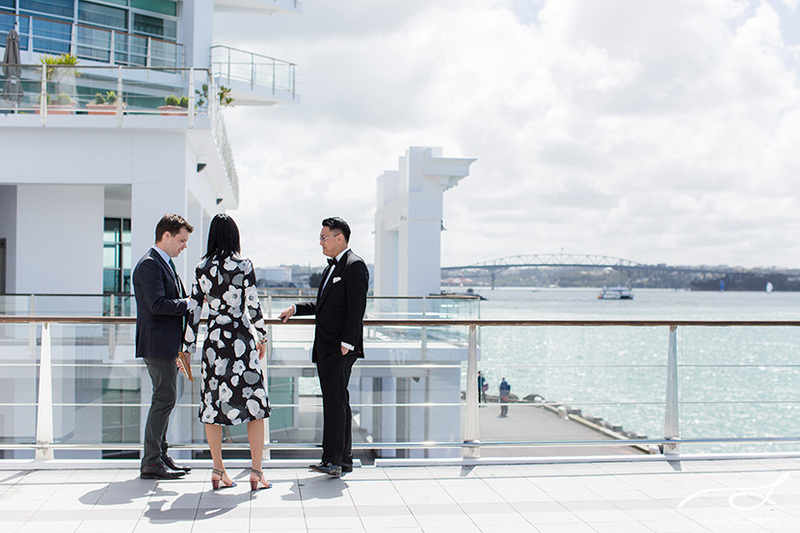 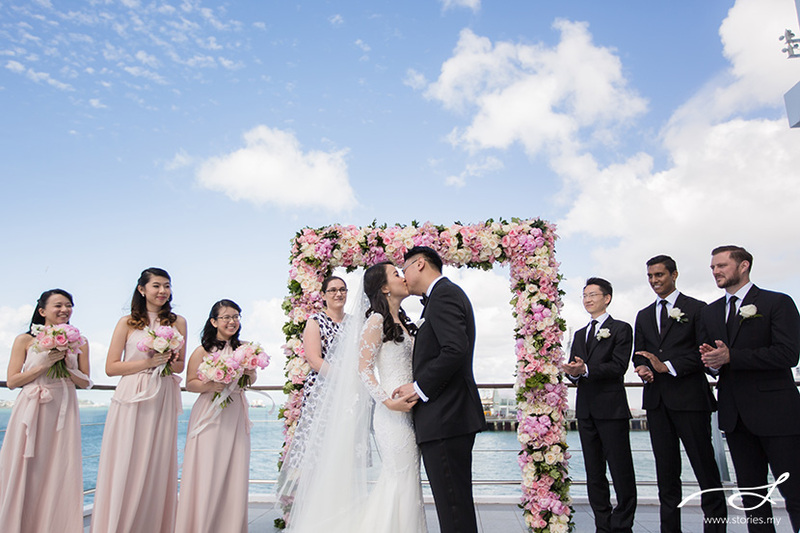 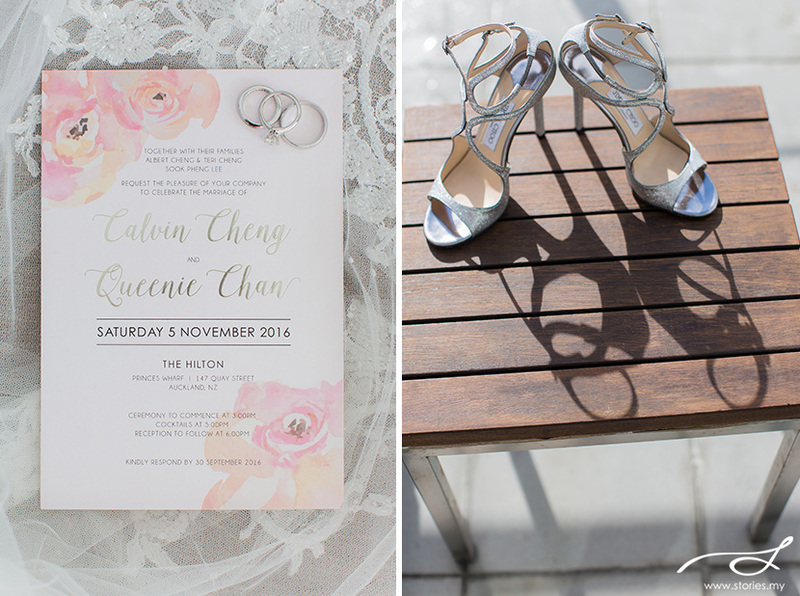 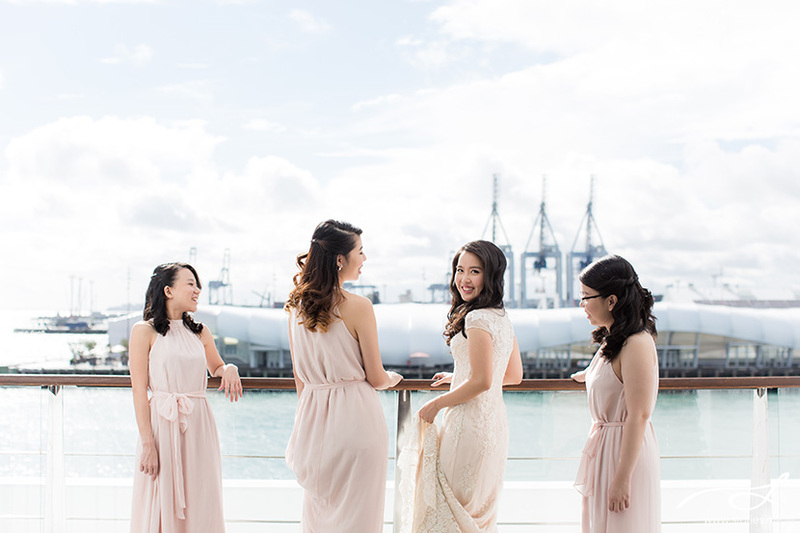 Though there weren’t any sheep present at the wedding, Calvin and Queenie tied the knot on the deck of Hilton Auckland, overlooking sailboats dotting the sea’s horizon. 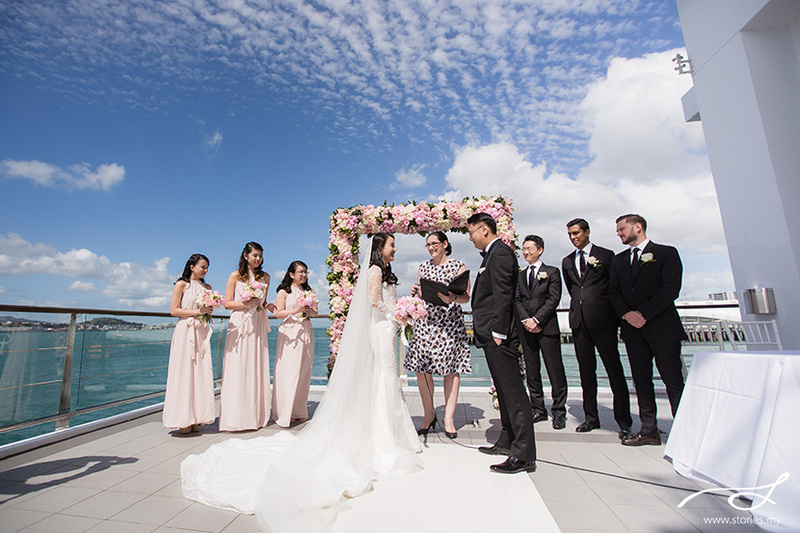 The sun’s rays kept darting in between clouds as they said their vows to each other, witnessed by their closest family and friends, some who have traveled from Australia and Malaysia to be there at the wedding. 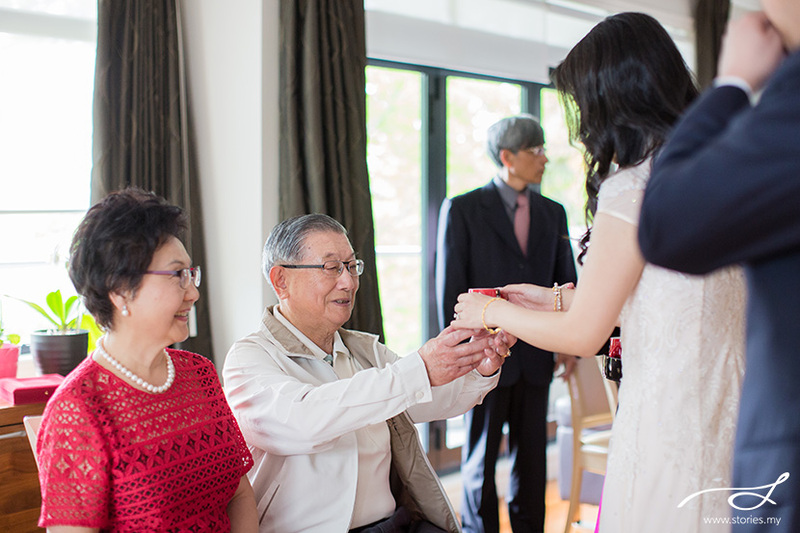 That morning itself, the couple had a simple tea ceremony for their closest family members. 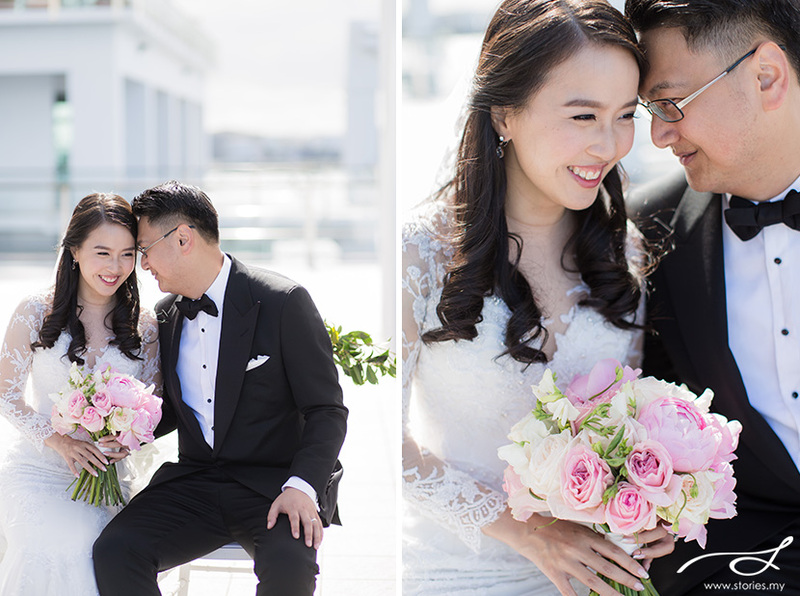 And after the vow exchange ceremony, we headed to the Fisherman’s Wharf area for some portraits. 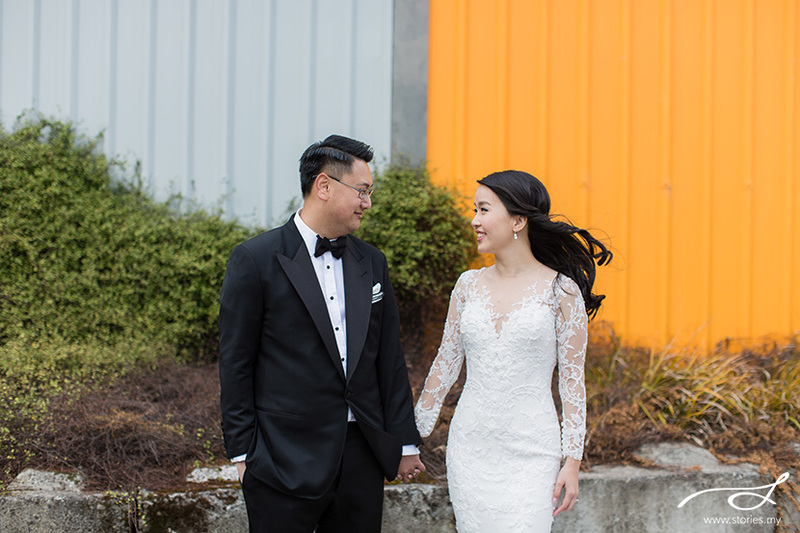 Halfway through, it rained and we had to seek shelter at some shops nearby. 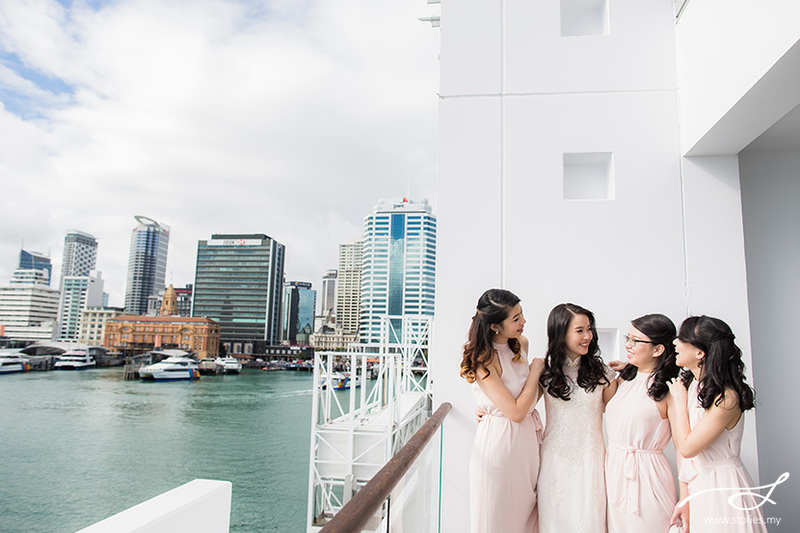 Though Queenie’s Malaysian bridesmaids & sister were shivering in the cold, they braved the weather and were such troopers. 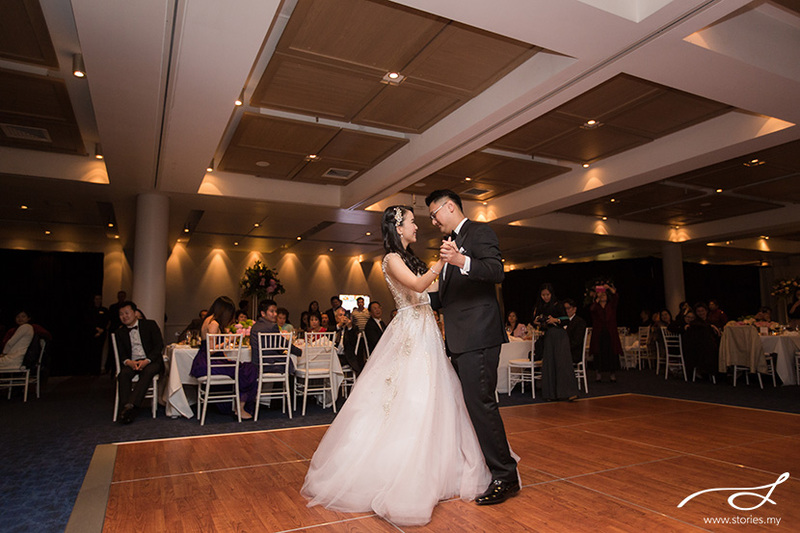 Thank you for it all! 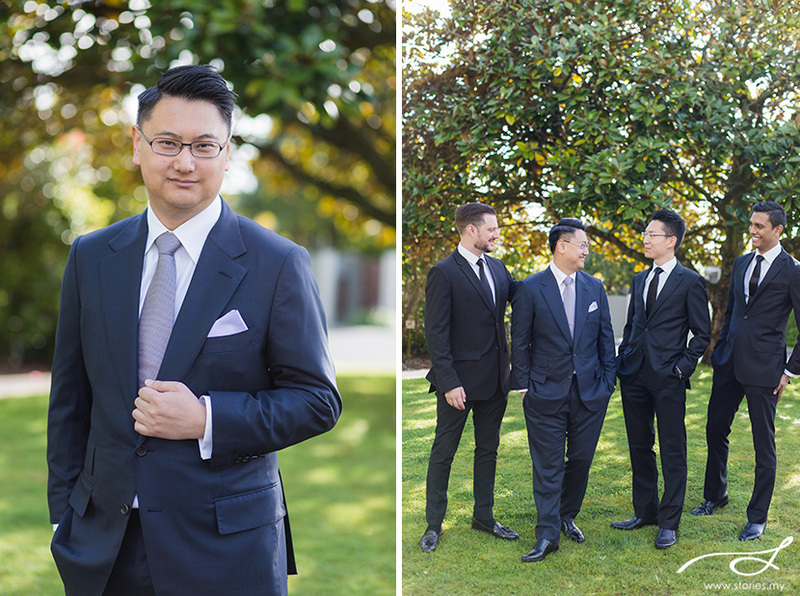 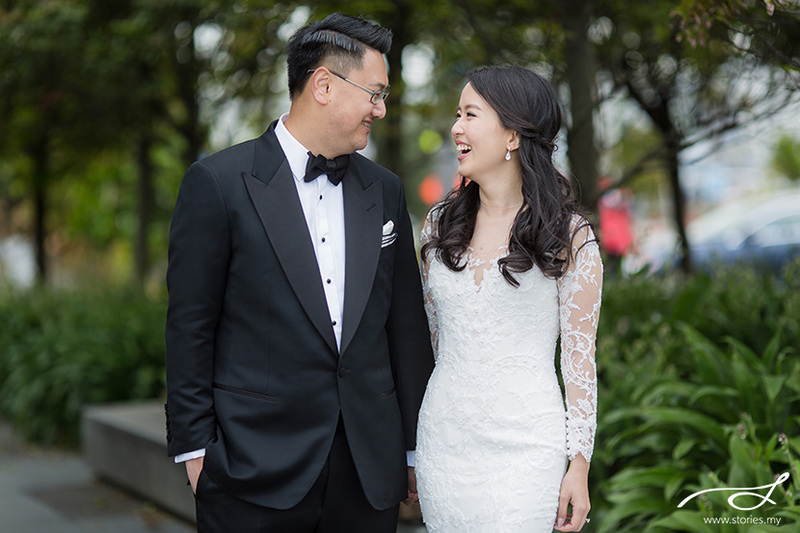 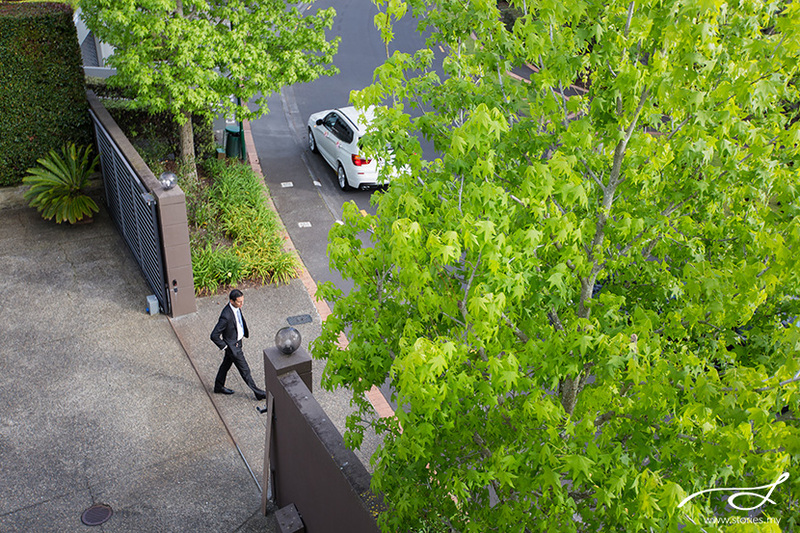 If you’d like to hear about how these 2 lawyers met each other at work in Sydney, you should view our post with their pre-wedding pictures. 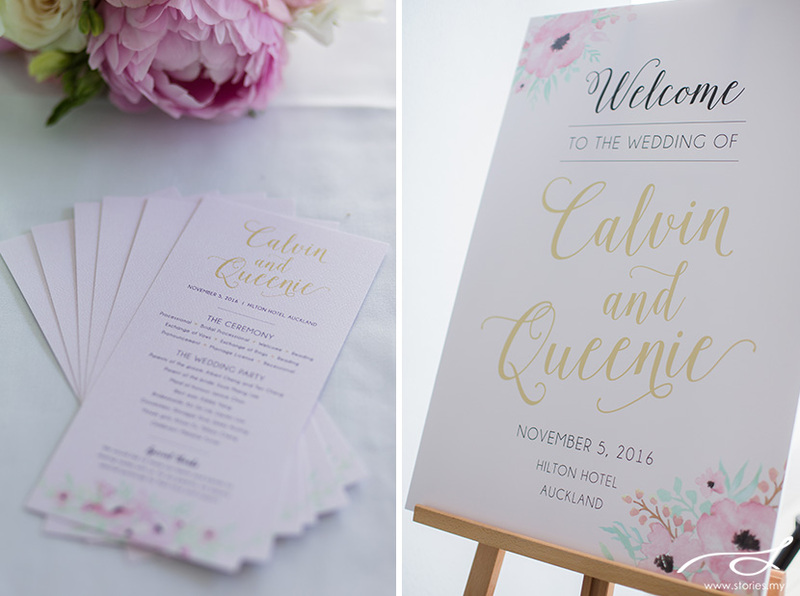 Calvin and Queenie are indeed both really generous people, who care about the welfare of everyone who come into contact with them. 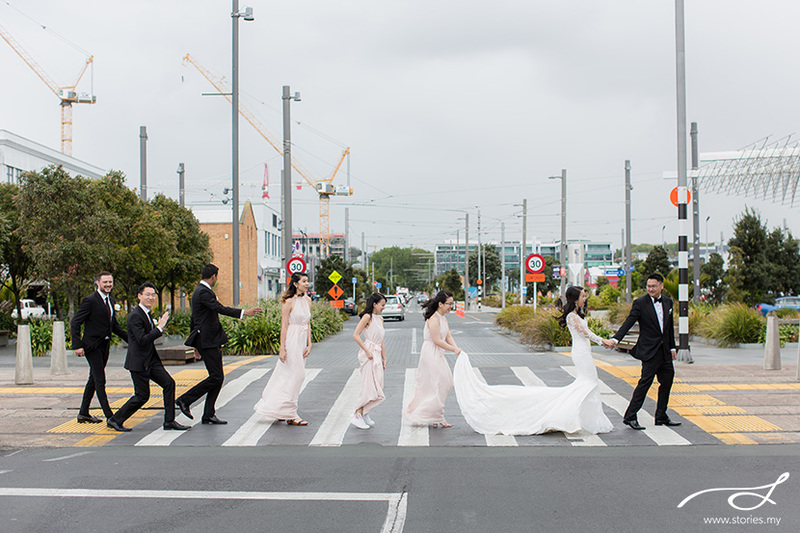 The 6 of us who flew to Auckland felt so welcomed. 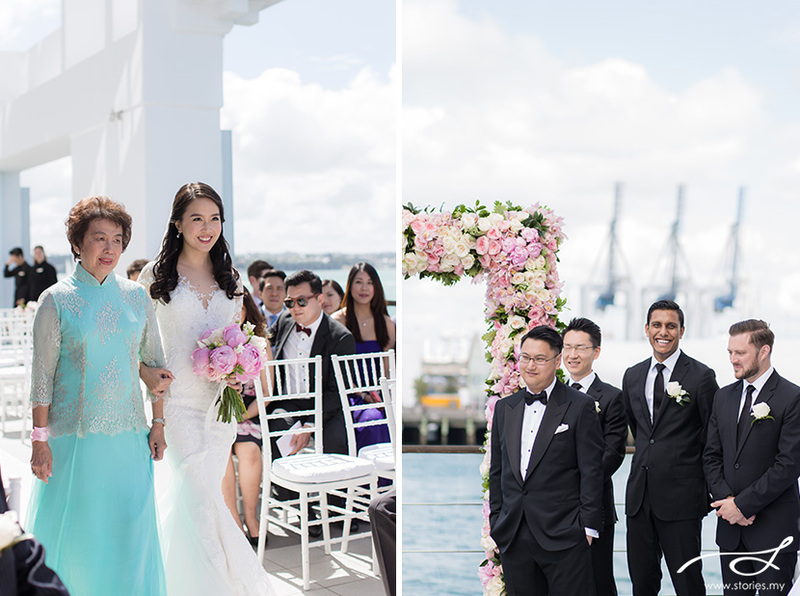 It was lovely to meet Calvin’s Taiwanese family and Queenie’s family from Malaysia as well. 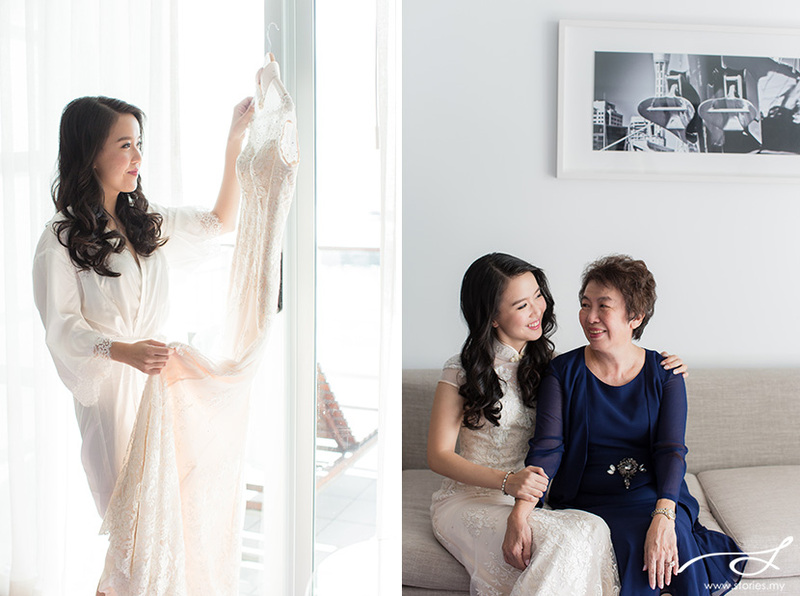 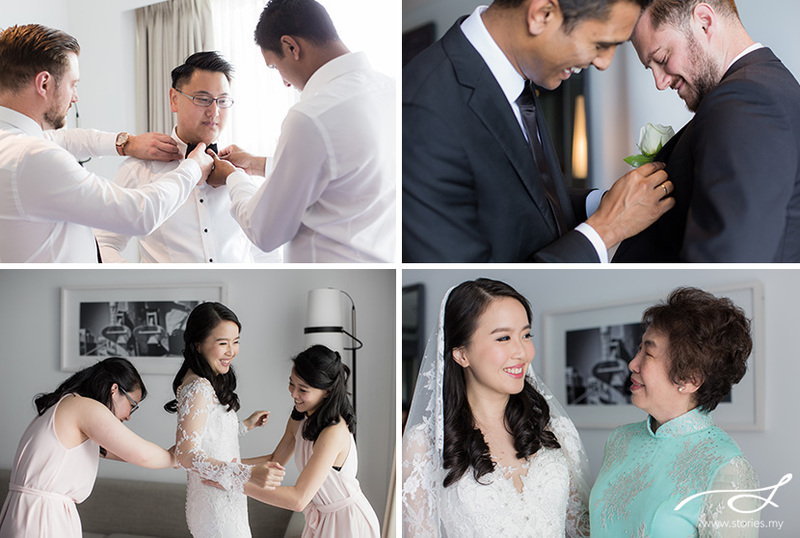 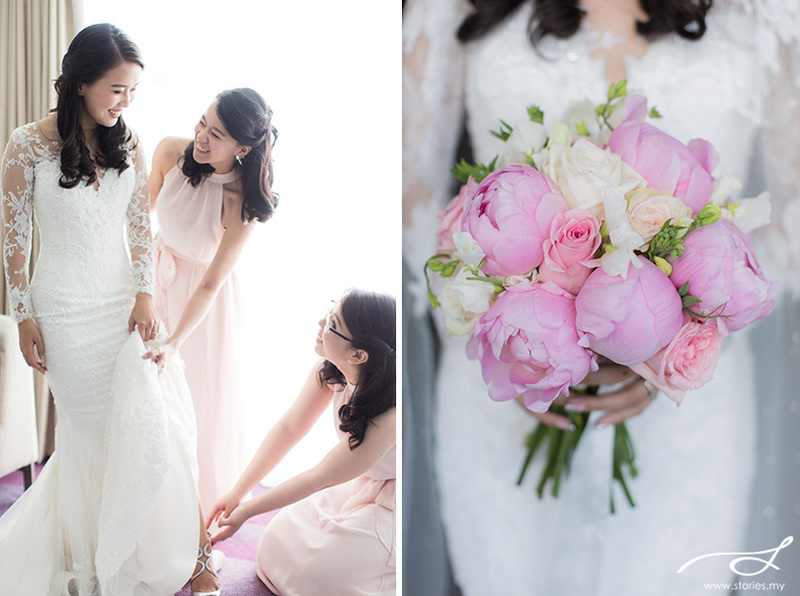 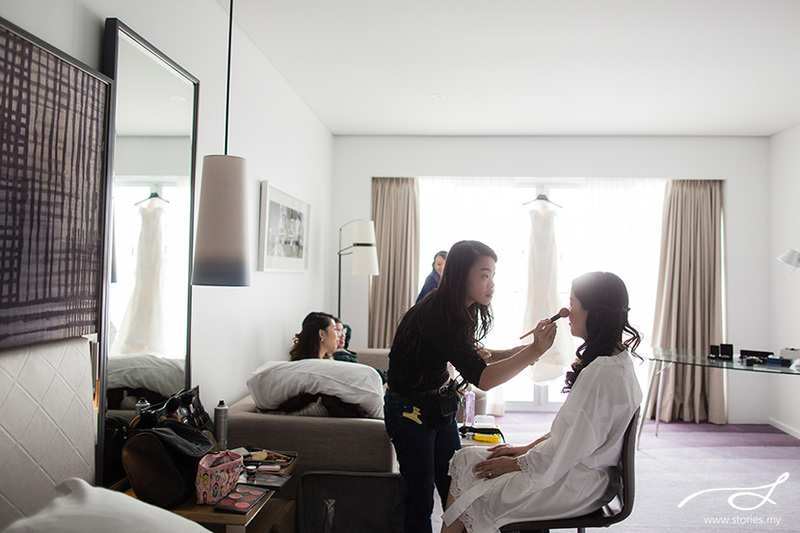 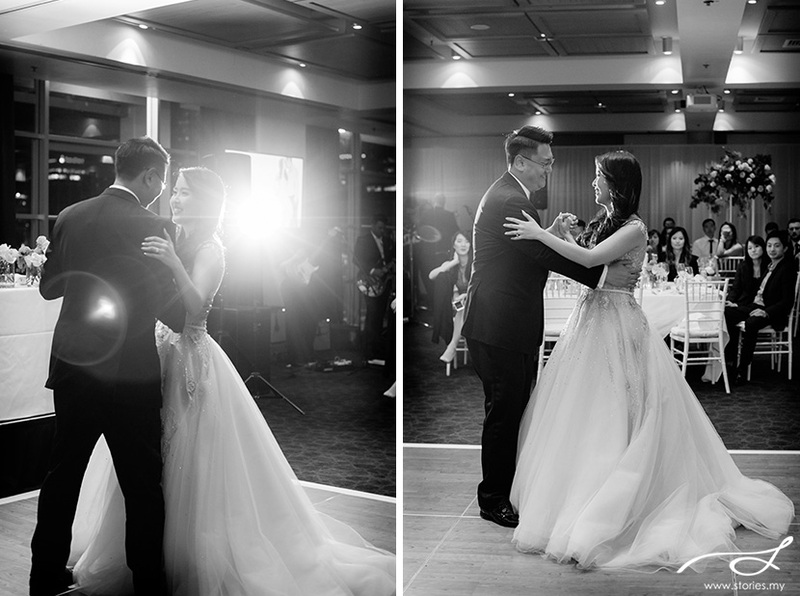 About a month later, we photographed their KL wedding at Grand Hyatt. 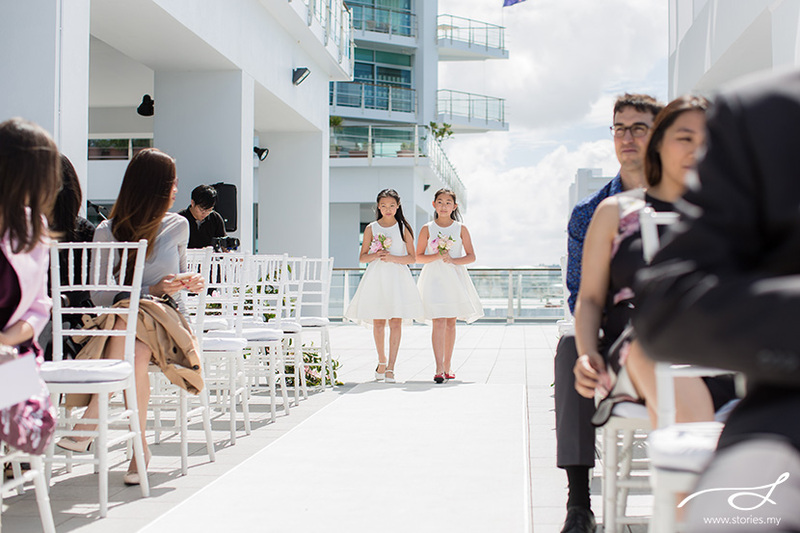 It had amazing decorations but we’ll save that for another day. 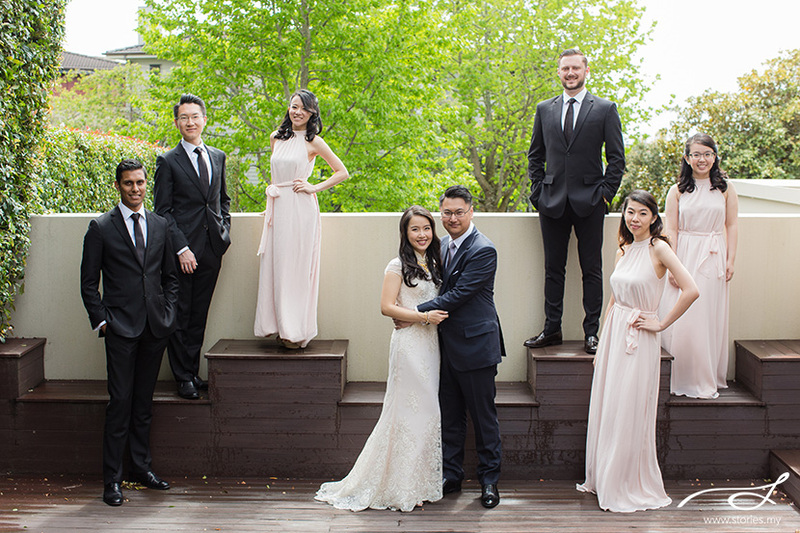 Enjoy the video and photos.